Since 1999, we have held an annual showcase of the outstanding student projects coming out of our program. Traditionally the showcase has been held during finals week of spring semester, but starting in 2018, we are running both fall and spring semester showcases. Projects in the showcase have been selected by a panel of faculty judges as “Outstanding Game Projects of the Year”. 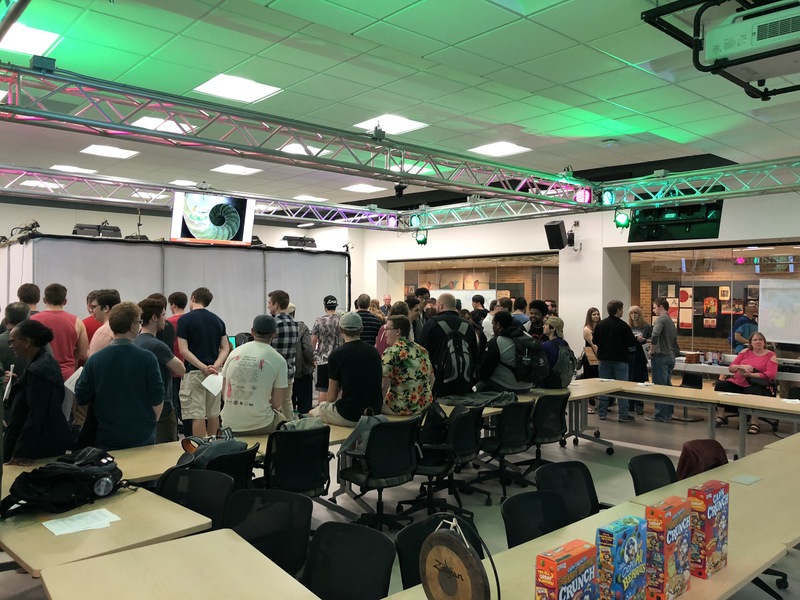 These projects are shown at the showcase in an open house style format where attendees can actual play the games and discuss with the creators. Additional judging happens at the event from a panel of industry and academic judges. At the closing, we announce “Best of Show” awards. Further, we also allow attendees to vote for their favorite projects for the awarding of the “People’s Choice” awards. We encourage all students, faculty, friends, and family to attend this event, play the outstanding student games, honor the creators hard work, and celebrate in their success!